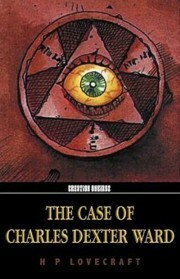 The Case of Charles Dexter Ward remains the only full-length work of fiction by HP Lovecraft, the master of 20th century horror. It has inspired such classic horror films as Roger Corman’s The Haunted Palace and Lucio Fulci’s The Beyond. This new edition also includes Lovecraft’s rare History of the Necronomicon, plus a new introduction by DM Mitchell (editor, The Starry Wisdom). The Case of Charles Dexter Ward. By H.P. Lovecraft. London: Creation Oneiros; 2008; ISBN 978-1-902197-25-8; paperback; 176 pages.